Based on the harbourside in a small Cornish fishing village, Gourmet Picnics is based at our HQ Amélies situated in Porthleven. As well as sharing the kitchen, both businesses are helmed by Sam Sheffield-Dunstan and her talented team, and share the same ethos: fresh, locally sourced ingredients delivered in an environmentally friendly way. Gourmet Picnics have been operating this way and making moments memorable since 2007. Sam has a team of chefs who work with her to make the picnics freshly to order. 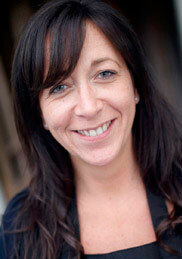 Sam's background in Events Management is London based. From organising events for the likes of Burberry and Bulgari, Sam has a fine trained eye for making the smallest detail perfect. Sam has taken her time putting together a formidable team, perfect for the smaller intimate party right through to the larger scale event.